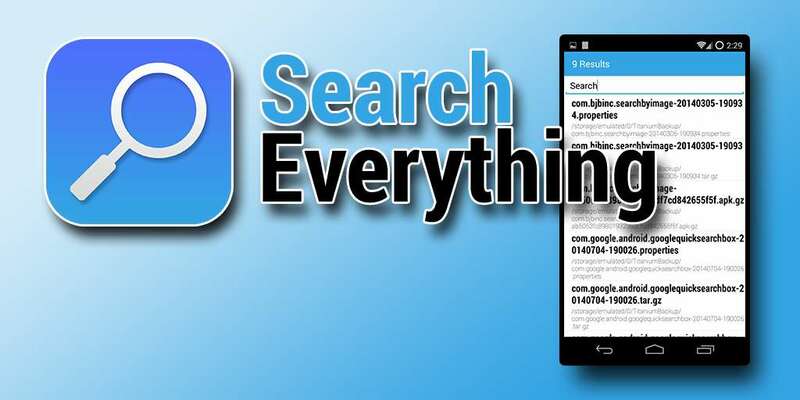 An app called Search Everything is now available for Android that makes the finding files you store on your phone 1000 times easier. 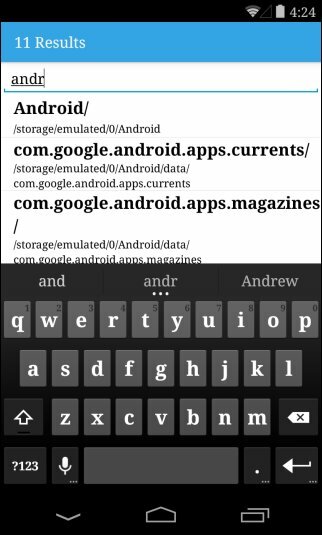 At its core, the app is nothing more than a file manager for Android. However, it has some useful features which make it worth having in your App Drawer. The main function Search Everything are to be a free file manager that gives you instant access to your files by indexing all the files and folders you have stored on your device. Search Everything have a simple design. When launched, the app automatically scans all the files stored on your phone or tablet. These may be things that you put there yourself such as videos, music, documents, photos, etc. But on top of that, it also displays all the files that are part of the OS itself. The app tells you the number of files it has indexed and displays their total count on top of the UI. Since Search Everything is basically a file indexing application, it lets you quickly find any item via integrated search box, which is essentially its main feature. Whenever you type something in the search box, the results of matching string begin to appear almost instantly. Likewise, the total file count matching that string will also change. 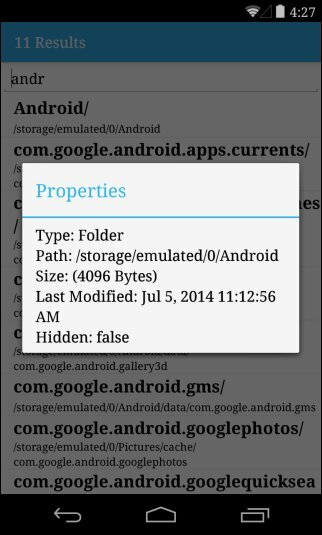 The app lets you know the full file path as well, making it easier for you to understand where a particular item is located. 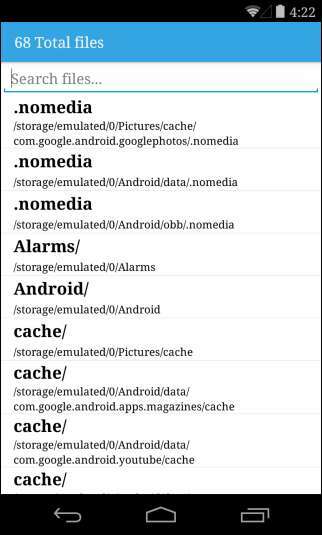 Search Everything can index files and folders placed only in internal storage though, so if you have a large SD card you will be pretty much out of luck. When you tap on hold over an item, a small menu shows up which lets you force open the file you searched for with any app. Besides that, you can also instantly share the app via in-app sharing, open containing folder, delete the file as well as access its properties sheet. The app is still in early development so it’s not perfect, specifically it cannot scan and index files from external storage. You can download and try it on your device via the Google Play link below.